Last year my dream came true , when l was approved for a unit. It was a joint project between Mission Australia DHS Yorrolla Summer foundation and Monash. After 4 months wait l moved in finally for me the main hold up was getting the hoist installed for health a safety reason for staff and myself . My house is amazing for me, l can live independently and use all it has to offer. 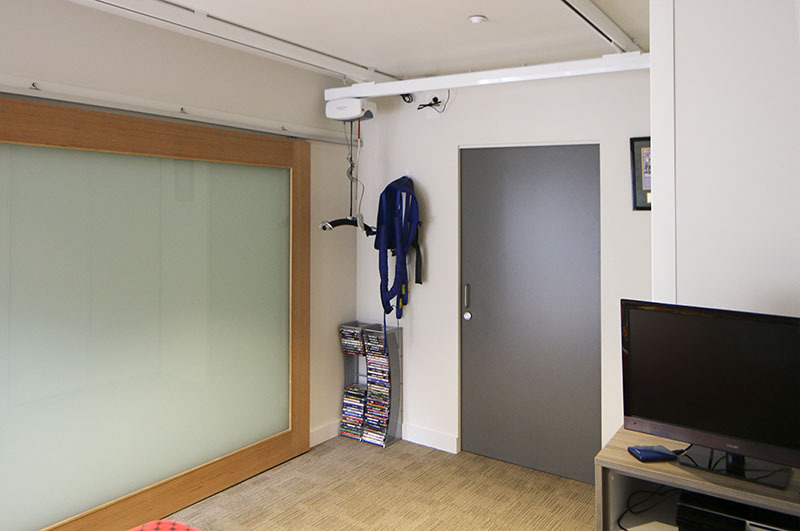 I can open and close doors via app and control heating, access emergency buttons, open a close blinds and even speak to staff in office through speakers. I text staff when i required the assistance. And there is staff available 24/7 . Its been nearly 6 months and my independence has increased immensely. My social life is amazing and l can invited over who l want , when l want, without bothering others . Monash OTS students work with me to assist with my further independence. We found a way for me to make my own breakfast here is a video of me making weetbix for my breakfast.